Whether a car hauler or a car owner, both want to ensure the safety of that precious vehicle. Securing a vehicle during transportation requires a lot of care, experience, and hard work. The vehicle shipping company you choose should be experienced in handling every step involved in the process. 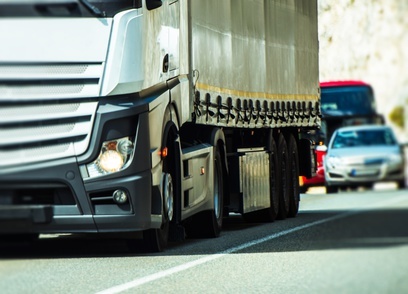 If this is your first time with any professional vehicle transport company, the post discusses some fail-safe tips to ensure the safety of your vehicle on the go. Deciding a shipping vessel, whether an Enclosed or open trailer, Multi-level car carriers or a single level trailer, largely depends on the type of vehicle. If you are shipping a classic or an exotic car, it is advisable to go for an enclosed or single-level trailer as they will prevent damage to your vehicle from any leaks from upper levels. Also, enclosed trailers protect your expensive car from external harmful elements during the transportation. If you wouldn’t like your vehicle to move side-to-side, forward or backward, and even vertically during the bumps, immobilization is the best way to secure your vehicle. After the vehicle is loaded onto the trailer, it should be strapped with a series of tie down ratchets and wheel straps. Car haulers usually use four tiedowns, two each in the front and at the rear of the car, to secure it at a spot. Most cars are usually secured by chassis and over and around the wheels. That’s when an experienced vehicle transport company helps you achieve car immobilization. Every vehicle has several stress points or sensitive areas, which need protection during the transportation. Shipping experts at a reputable vehicle shipping company know exactly which part of a vehicle requires special securement and how to do it, irrespective of the vehicle size or shape. For example, the metal of classics or salvage vehicles is usually weak, the shipper makes sure that no extra weight is put on such vehicles and usually use an extra strapping around their tires. Oversized vehicles, such as military trucks, on the other hand, require stronger and wider straps and larger ratchets to bear the extra pressure of the vehicle. Shipping a vehicle is a complex process and requires utmost care during loading, transporting, and unloading. Easy Haul is an established auto shipping company in the U.S. Our years of experience in the shipping business enables us to transport vehicles to their designated location in a smooth and hassle-free manner. If you wish to learn more about our vehicle shipping services, feel free to call us at +1 (360) 597-9320 , or fill out our contact form to get instant motorcycle delivery quote.